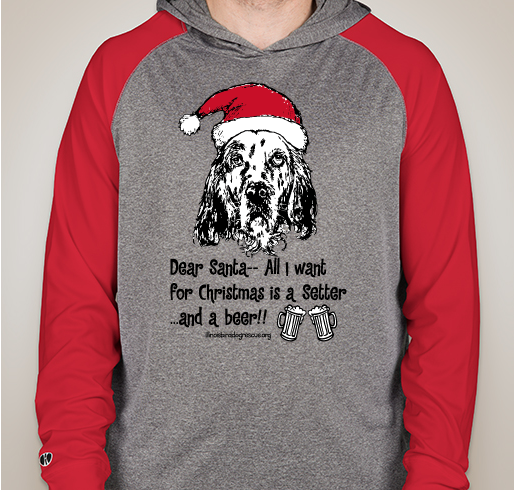 Help us save more English Setters in need!! 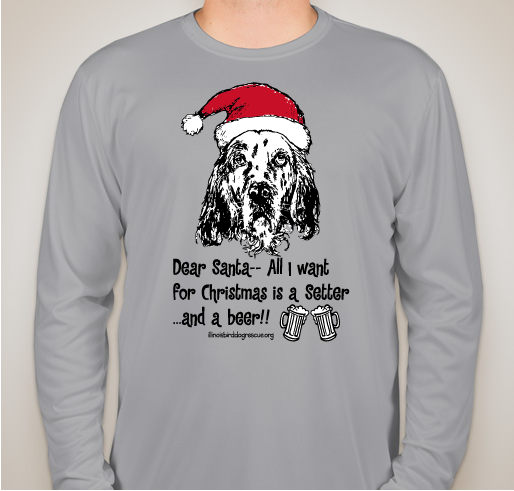 I wanted to bring back our Setter Christmas shirt fundraiser as we have so many more Setter adopters with some amazing adoptions this year and more vetting expenses on some new Setter rescues. 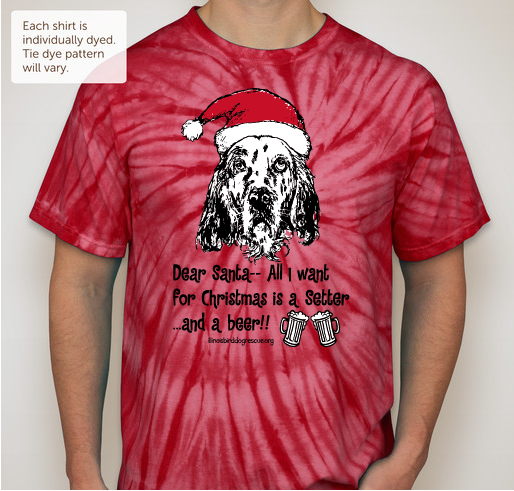 This fundraiser is only 10 days long to ensure folks get their shirts before the 25th of December and also for potential gift giving. This fundraiser is dedicated our newest Setter rescue Dustin- a handsome Tri-color and white pulled from an overcrowded Chicago shelter. 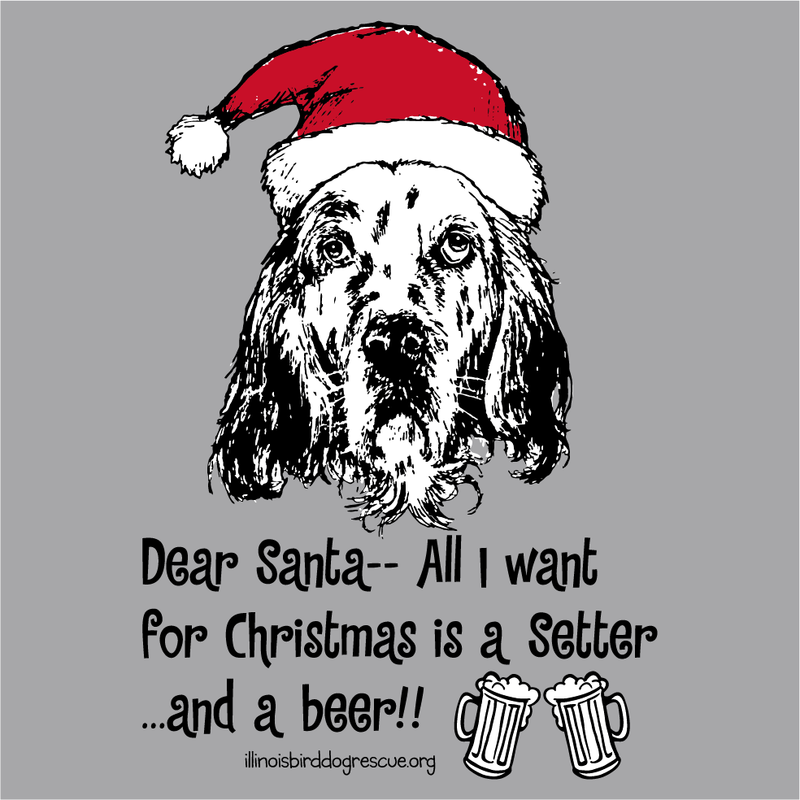 We rescued so many Setters out of desperate situations in 2017 and like so many over the years, all are being treated for tick borne disease. 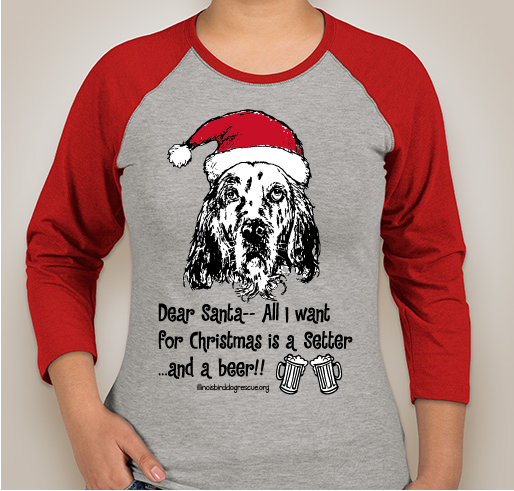 We are currently 100% for tick borne disease in our rescue Setter population- including all the English and one Irish we brought into the program in 2017. 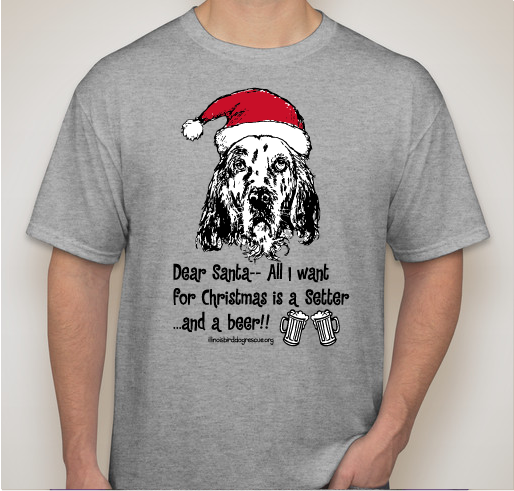 Please consider a shirt purchase to help the Setters in foster care now and also future dogs in need. Here is our newbie Dustin. He was pulled from Chicago Ridge and came in with the worst case of kennel cough. He was left in an abandoned home but thankfully was pulled in time. He is great with other dogs and kids and is learning to get a long with kitties. We will be doing blood work on him and also a neuter and those expenses will run close to $400 with his cough medications. Here is Dustin safe in foster care. I have 3 wonderful dogs adopted from IBR!!! Every Setter we have brought this year has tick borne disease. Dustin was just tested and I am sure he will also be positive with something. We do the best most accurate testing on all our dogs but the tick borne screening is LIFE SAVING!! We IBDR. God Bless the rescues and the ones that poor their hearts into them. 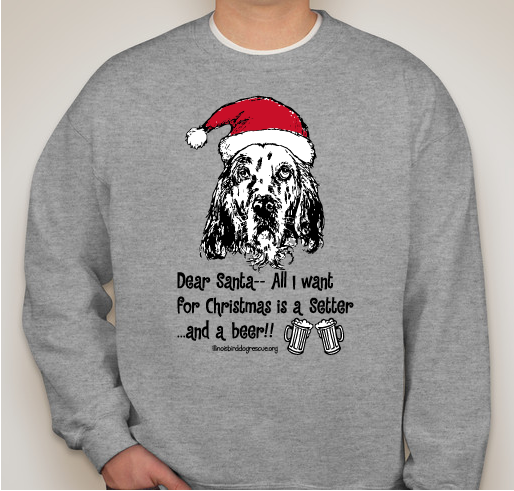 This is for our Munky ( a Pointer) aka Josie (from Josie and the Pussycats). Without IBDR we would never had her. Share Why You Support "Setterly Christmas"